The doors are always open at the Angus Media office in Saint Joseph, Mo. An extension of the American Angus Association headquarters, the Angus Journal wing of the building was completed in 1998. Today, more than 30 professionals work diligently to provide the beef industry's leading communications programs and marketing services. We understand the cattle business and produce valuable content that matches your herd's commitment to quality. Direct link to the American Angus Association. As an entity of the member-driven American Angus Association, we succeed when you succeed. Our connection to the Association's performance database and member registry provides unrivaled information to fuel your next marketing project. Your entire marketing campaign, all in one place. Consistency is important in your herd genetics and your marketing campaign. Angus Media is your one-stop-shop for building your brand across print advertising, website design, direct mail and sale books — ensuring your message is spot on, every time. Angus is synonymous for quality. For generations, the Angus breed has set the pace for the entire beef business. The Association and its members have led the industry in successful brand marketing, genetic technology and customer service. The Angus Media team embraces that quality reputation across its programs and services, as well. Formally Angus Productions Inc. (API), Angus Media is a comprehensive marketing communications firm that specializes in content targeted toward America's quality beef producers. 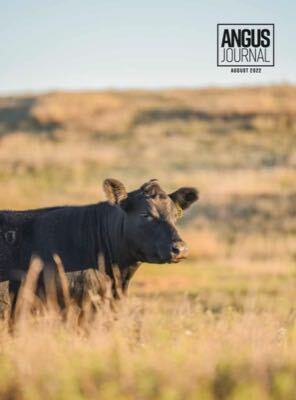 Home to the trusted Angus Journal magazine and commercial cattlemen's Angus Beef Bulletin, Angus Media provides award-winning editorial within the pages of its print publications. Angus Media's customer service team has more combined experience in livestock marketing than anyone else in the beef business. They understand your goals and objectives, and believe in providing the best results possible.